All the signs are there in luxury retail trends. Soaring urban real estate costs. Inevitable lifting of rent controls, most recently in Spain. Struggling popular priced malls. Lower middle class and middle class incomes strapped by stagnating wage growth. And add to this the rapid acceleration of online shopping. In the developed world malls and mom and pop retailers are going away, the pace picking up steam. What will replace them? For starters, in the short term, more ubiquitous and ever larger emporiums of global luxury brands and shopping centers geared to the affluent and elite affluent. Every summer when I go to Madrid I see it happening – independent fashion boutiques replaced by the names you know. In Miami, it’s starkly apparent. With Brickell’s CitiCentre project by Swire Properties, Miami-Dade County will have four high end shopping destinations – Bal Harbour Shops, Village of Merrick Park, and the Design District. During Art Basel I paid a visit to the new section of the Design District and frankly couldn’t believe my eyes – I thought I was transported to Beijing and the shopping center adjacent to the Opposite Hotel (operated by Swire Hotels). I wrote “the short term” because I think that longer term, the affluent will be looking for more alternatives to the same global designer fare you find in Paris, London, New York or Shanghai. LVMH, Hermes and others have recognized this, and for awhile a few years back there was talk about going global and thinking local, as in designing products that were more of the place. I think they were on to something big, but there hasn’t been much talk of that recently. Absent this, and there will come a time when the affluent will look elsewhere, which they’re already doing online. At the same time, the cost of marketing for small, independent retailers used to make business challenging, but now, with social media, promotion for a small budget is in the cards. And how about rents? I predict independent high end retailers will thrive despite the rents, considering the kind of profit margins they enjoy. But there’s a lesson here too for smart real estate developers. My advice? To sprinkle their shopping centers with unique shops at mid-high price points to not only provide variety, but also, draw in the lesser affluent who can make one time luxury purchases and patronize the restaurants and bars. I read that CitiCentre plans to do this very thing. 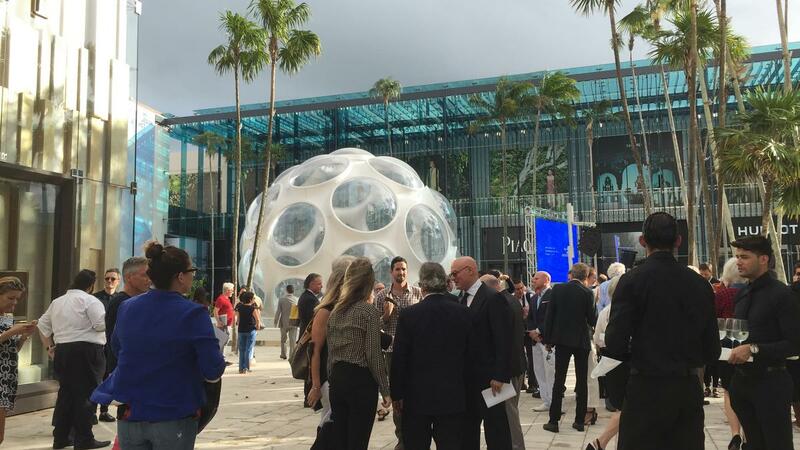 The shopping part of the project is run by the owners of Bal Harbour Shops. It will be very interesting to see what they do. Stay tuned.